Do you want to be a woman of the Word? Me, too. Join me beginning January as we begin our next book study with the book Women of the Word by Jen Wilkin. How do we study the Bible? What are practical tips for studying God’s Word? How can we make our Bible study about God and not about ourselves? 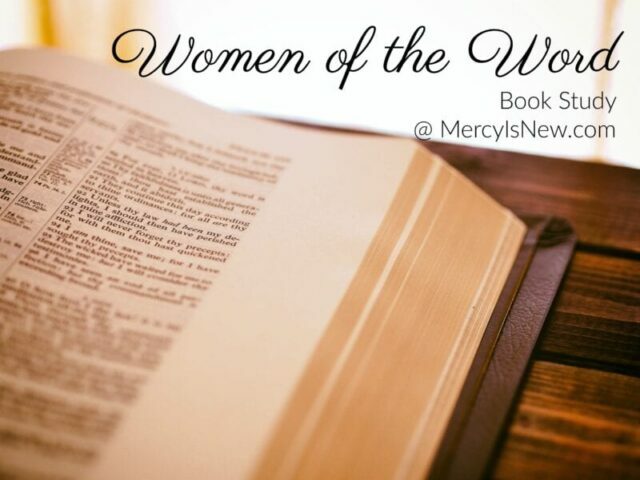 In her book Women of the Word, Jen tells us that when we read and study the Bible looking to learn more about ourselves, we are doing it for the wrong reasons. The Bible is a book about God. We learn about Him, we look for Him, and we find Him. This isn’t to say we don’t learn more about ourselves in the process, but HOW we go about our study will help us learn more about God, which is the ultimate goal. It’s been said that we become what we behold. Let us behold our God through the pages of His Word! Write the Word with us! In the book Women of the Word she very strongly encourages us not to take verses out of context and to look at the Scriptures as a whole. I completely agree with this. However, before we look at studying a book of the Bible in depth, I would like for us to spend a few weeks looking at many passages about God’s Word itself. I want our hearts to be reminded of the importance and treasure of His Word. Let’s see what God’s Word has to say about God’s Word. 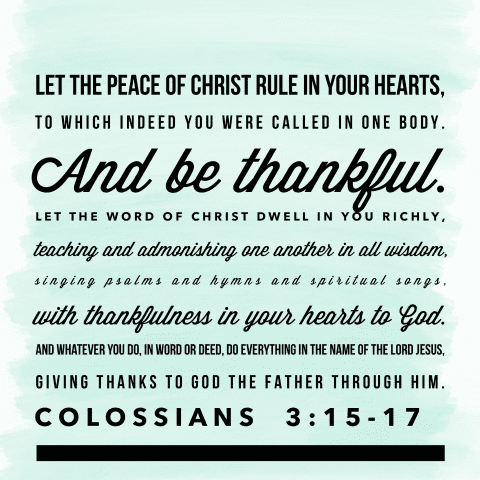 These are all verses that will stir our hearts to know His Word more and more! I will be starting this Write the Word schedule on January 1st, 2017. Join me on Instagram if you’d like to see nearly daily morning nuggets of truth from these passages. We will be discussing this book weekly in our closed facebook group! We would love to have you. Click here to join our group. I will look to make sure your facebook account is a real person. And then we will approve your membership. Look for a notification for His Mercy is New Community of Encouragement. January 6th – Introductions in the closed group – come by and introduce yourself! Jen Wilkin & her team at Crossway have put together a FREE study guide for this book that you can find here! I will be using portions of this in our closed group as well! 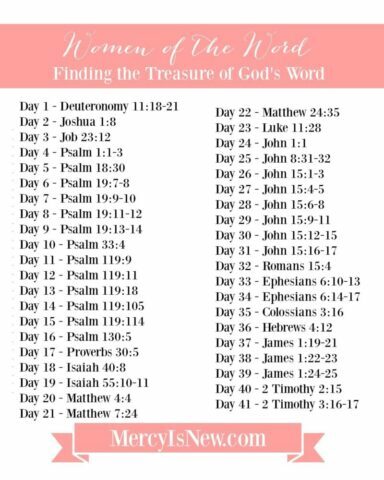 After we finish this study of the book Women of the Word, it is my hope and prayer that you will continue with us as we take a look at 1 book of the Bible and study it more indepth using the tools we’ve learned from this book!